Doctor of Law, Christian graduated from the prestigious Ecole Nationale d’Administration and became over the years one of the finest specialists in French Administrative Law. During his long professional career, Christian notably served as President of the Administrative Court of Caen, President of the Regional Institute for Public Administration of Lyon, President of the Administrative Court of Lyon and member of the Council of State, i.e. France’s Administrative Supreme Court. Christian has acquired substantial expertise in dispute resolution of procurement contracts (liability of the project owner and construction manager, etc.) and has extensively practiced environmental law. He has, in particular, in-depth knowledge of environmental regulations pertaining to so-called classified facilities for the protection of the environment, a legal topic for which he remains to date one of the best French specialists. 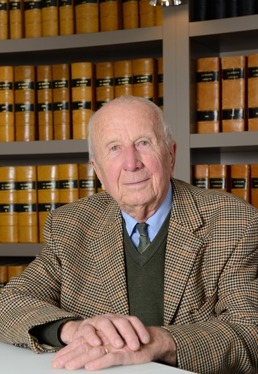 Christian has contributed to many legal publications regarding administrative and environmental law, written many legal columns and issued a large number of written commentaries on the evolution of French case-law. He has authored several books, including two reference books, the first one on French administrative procedures, and the second one on the legal status of classified facilities.